THIS AGREEMENT SETS FORTH THE TERMS AND CONDITIONS UNDER WHICH INFOBLOX INC. (“INFOBLOX”) AGREES TO PROVIDE THE INFOBLOXMAINTENANCE SERVICES PURCHASED BY THE END USER CUSTOMER (“CUSTOMER”) FOR INFOBLOX PRODUCTS AND SOFTWARE. BY REGISTERING ON INFOBLOX’S SUPPORT PORTAL OR RECEIVING SERVICES PURCHASED, CUSTOMER AGREES TO BE BOUND BY AND ACCEPT THESE TERMS AND CONDITIONS. to the terms and conditions herein; if Infoblox and Customer have signed a separate agreement for the purchase of Support, then the terms of the executed agreement shall apply. Infoblox may, at its discretion, update and modify these terms and the services provided under Support; such updates and modifications shall be effective with respect to subsequent renewals and new Product purchases. 2.1 Product. The network equipment consisting of Infoblox hardware and licensed Software, or the licensed Software designed for use on authorized third party platforms, in each case as provided by Infoblox. 2.2 Software. The Infoblox standard software programs licensed to Customer pursuant to a separate license from Infoblox, together with any Releases furnished by Infoblox to Customer as part of Support. 2.3 Specifications. The published specifications applicable to the Infoblox Products that are in effect as of the date the Products shipped to Customer or first made available to Customer for download, as such specifications may be updated or revised by Infoblox in connection with subsequent Releases. 2.4 Release. A new Software release version issued for a specific Product, if and when available, containing error corrections, patches, enhancements, new features and/or functionality, which is made generally available by Infoblox to its Support recipients without additional charge and may be indicated by a change in the version number to the left or right of the decimal point. 2.5 Workaround. A temporary solution to a Software error that Infoblox has implemented or enabled customers to implement that allows the Software to regain functionality and/or provide Software functions in accordance with the Specifications. Support is provided via telephone and/or World Wide Web and includes assistance with answers to questions related to Product features, problem diagnosis, configuration and Workarounds when applicable. 4.0 Remote Diagnostics and Assistance. Provision of timely and effective support including diagnosis and resolution may require the use of on-line diagnostics of the Product by Infoblox Support personnel. Such on-line diagnostic access may include the use of remote support tools from Infoblox or third parties. Customer may elect to provide remote access to the Products at its option and may require that Infoblox comply with Customer’s security policies relating to such access. An implementation plan is essential for a successful installation of the Products. 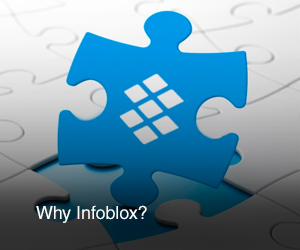 To support a successful installation, Infoblox professional services may be separately purchased. Support does not include configuration or assistance with implementation planning or installation of Products. 6.1 Authorized Contacts. Customer will designate the individuals that are authorized to contact Infoblox on behalf of Customer (“Authorized Contacts”). The Authorized Contacts may contact the Global Support Center (“GSC”) by logging into the Infoblox Support Website or by telephone. In order to facilitate resolution of issues as efficiently as possible, Infoblox recommends that Authorized Contacts submitting issue requests and engaging with Infoblox’s GSC have current Infoblox CDAT/NACS certification. 6.3 On-Line Support and Telephone Support. Authorized Contacts shall be provided with a unique login and password for the Infoblox Support website. 6.4 Infoblox Hardware Support. Support for hardware Products includes the services described above plus advanced exchange replacement for Infoblox hardware determined by Infoblox to be defective. Infoblox will issue Customer a Return Materials Authorization (“RMA”) number for the return of defective hardware. Customer must promptly deliver the defective replaced unit (as identified by serial number to Infoblox at the time RMA is issued) to Infoblox in accordance with Infoblox’s return instructions provided at the time of RMA issuance which may include using packaging supplied by Infoblox. The RMA number shall be clearly marked on the outside of the package. Infoblox shall refuse delivery and return to sender at sender’s expense any unauthorized returns. If the replaced unit is not received by Infoblox within 30 days after Customer’s receipt of the replacement unit, Infoblox may invoice the Customer and Customer shall pay for the replacement unit at the then current list price less any applicable discount; nonpayment may result in suspension of Support. If Infoblox reasonably and in good faith determines that the returned Product hardware did not contain the alleged defect or that failure was caused by Customer’s misuse, negligence, software additions, modifications or other Customer caused damage to the Product, then Infoblox may, at its option, return the unit at Customer’s expense and Customer shall pay for the replacement unit at the then current applicable price upon receipt of invoice from Infoblox. Hardware replacement does not apply to third party hardware not provided by Infoblox. In some cases, RMA replacement units may require installation of a currently supported Release. 6.5 Next Business Day Hardware Replacement. Support includes next business day hardware replacement (“NBD”) service. To be eligible for NBD hardware replacement services, hardware must be located in geographies depot delivery radius as identified on the Infoblox Support Website for NBD service coverage. In order to ship the same day, the RMA must be processed by 3:00pm local time of the depot processing the RMA for shipment. For hardware located outside of the geographies depot delivery radius identified as NBD accessible, replacement hardware shall be shipped by reasonable commercially available means for carrier delivery to Customer based on available delivery times. 6.6 Premium Maintenance Response Standards. Response standards in Table 1 below describe the level of support that can be expected by Customer under normal circumstances. Access to Premium Maintenance services is also described in Exhibit A – Infoblox Premium Maintenance Data Sheet. 1 Operation/Service down or critically impacted. No known Workaround. Within 1 hour Infoblox and Customer will commit necessary resources to fix problem or obtain a Workaround. Emergency bug fix (EBF) if necessary. Fix included in next Release. 2 Operation affected, but not down. Impact may be high. Workaround may be available. 2 business hours Infoblox and Customer will commit resources during normal business hours to resolve issue or obtain Workaround. Fix included in future Release. 3 Moderate to negligible impact. No impact to business. 8 business hours Infoblox and Customer will commit necessary resources during normal business hours to restore operation to satisfactory levels. Schedule for future Release if necessary. 4 Request for information, documentation issues, and enhancement requests. 1 business day Request-dependent. Request-dependent. 6.7 Elite Maintenance Response Standards. Response standards in Table 2 below describe the level of support that can be expected by Customer under normal circumstances for Products under Elite Maintenance contracts. Access to Elite Maintenance services is also described in Exhibit B – Infoblox Elite Maintenance Data Sheet. 1 Operation/Service down or critically impacted. No known Workaround. Within 15min Infoblox and Customer will commit necessary resources to fix problem or obtain a Workaround. Emergency bug fix (EBF) if necessary. Fix included in next Release. 2 Operation affected, but not down. Impact may be high. Workaround may be available. 1 business hour Infoblox and Customer will commit resources during normal business hours to resolve issue or obtain Workaround. Fix included in future Release. 6.8 On-Site Services; International Centers. On-site support services are not included in Support. Infoblox professional services for on-site requirements may be separately purchased. Infoblox is not obligated to provide a local service center or sales office in any particular country outside of the United States. This extends to but is not limited to technical assistance centers, replacement part stocking locations, and training centers. 7.1 Software New Releases. Customer is entitled to download new Releases from the Infoblox Support Website at https://support.infoblox.com/support for Products under a current Support contract. Installation and configuration of Releases is not included as part of Support and is the responsibility of the Customer. Software support may not entitle Customer to new software that is designed to add additional applications or features available in the software or to provide additional functions and features that were not included in the software originally licensed. Such new software may be licensed separately from Infoblox at the price set forth on Infoblox’s then current price list. 7.2 Hardware Updates. Support does not include hardware upgrades or replacement of hardware no longer supported with current models; replacement with current models is subject to purchase by Customer. 8.1 Authorized Contacts. Customer shall designate Customer’s specific Authorized Contacts, user names and passwords through the Infoblox Support Website and shall maintain the confidentiality of the Authorized Contacts account information and passwords. Customer is responsible for updating Authorized Contact information in the event changes to the Customer’s previously designated Authorized Contacts are required. 8.2 Customer’s Obligation to Assist. For each issue request submitted, Infoblox may require Customer to provide the following information: (a) a general description of the operating environment, (b) a list of all hardware components, operating systems and networks, (c) a reproducible test case, and (d) any log files, trace and systems files. Customer’s failure to provide this information may prevent Infoblox from diagnosing and resolving the issue. 8.3 Supported Releases. Infoblox will provide Support for Software release versions in accordance with its published life cycle policy. Support services do not include prior release levels no longer supported in accordance with the policy; if required by Customer, services for prior release levels may be available at an additional charge. Installation of new software and hardware in accordance with Infoblox documentation is the responsibility of the Customer. The initial term of this agreement will commence on Purchase Order book date plus six days and will have the term specified on the contract notification document emailed to Customer by Infoblox upon product shipment or subsequent renewal. Either party may terminate this Agreement upon 30 days prior written notice to the other, provided that such termination by Infoblox will not apply any pre-paid Support periods purchased by Customer. Customer may terminate a purchased Support term upon 30 days prior written notice to Infoblox. Pro-rated refunds for any remaining support term may be issued at the sole discretion of Infoblox. Fees for each year of Support are due annually in advance prior to the expiration of the then current Support period. Infoblox reserves the right to increase prices annually and/or change the current pricing and fees from time to time. For more information on pricing, see our Standard Terms and Conditions. If Customer allows Support to lapse and later requests to resume Support, Infoblox shall require Customer to pay a reinstatement fee for each lapsed Product and the fees that would have been paid for all missed Support periods, prior to reinstating Customer’s Support for the lapsed Products. Infoblox shall use its reasonable efforts to provide the support services defined in this Agreement and warrants that such services shall be performed in a professional manner. Infoblox shall make available a list of third party software and other products, if any, required by the Products. This warranty covers only the use of the Products in accordance with the applicable documentation published by Infoblox and following the proper installation and support practices and procedures in which the Product was intended. Infoblox does not warrant that Software will be error free or that all errors will be fixed. EXCEPT FOR THE ABOVE EXPRESS LIMITED WARRANTY, INFOBLOX MAKES NO WARRANTIES OR CONDITIONS ON THE PRODUCTS, EXPRESS, IMPLIED, STATUTORY, OR OTHERWISE AND INFOBLOX SPECIFICALLY DISCLAIMS ANY IMPLIED WARRANTY OR CONDITION OF MERCHANTABILITY, FITNESS FOR A PARTICULAR PURPOSE, OR NON-INFRINGEMENT. THESE TERMS AND CONDITIONS CONSTITUTE A SERVICE CONTRACT AND NOT A PRODUCT WARRANTY; THE PRODUCTS AND SERVICES ARE SUBJECT EXCLUSIVELY TO THE WARRANTIES SET FORTH IN INFOBLOX’S STANDARD TERMS AND CONDITIONS OR OTHER AGREEMENT SIGNED BY INFOBLOX AND CUSTOMER. THESE TERMS AND CONDITIONS DO NOT CHANGE OR SUPERSEDE ANY TERMS OF SUCH WARRANTY. Infoblox shall not be responsible or liable for correcting any errors that are not reproducible by Infoblox or problems due to: (i) Customer’s failure to implement Releases made available under Support; (ii) the use or operation of the Product other than as set forth in the Product documentation published by Infoblox; (iii) any customizations, alterations, modifications of or additions to the Software other than fixes and patches provided by Support personnel; or (iv) accident, negligence, or misuse of the Product. It is Infoblox’s policy to not extend support or provide software for any Infoblox product purchased from an unauthorized third party. Additionally, any customer purchasing used or second hand appliances should be aware that software and licensing (including embedded firmware) is non-transferrable pursuant to the applicable Infoblox software license agreement, and installing or using such software may be a violation of such agreement. ANY SPECIAL INCIDENTAL, INDIRECT, OR CONSEQUENTIAL DAMAGES OF ANY KIND AND HOWEVER CAUSED, UNDER ANY LEGAL OR EQUITABLE THEORY OF LIABILITY, WHETHER FOR BREACH OF CONTRACT, TORT (INCLUDING NEGLIGENCE AND STRICT LIABILITY) OR OTHERWISE. THE PARTIES ACKNOWLEDGE THAT THE SUPPORT CHARGES WERE DETERMINED BASED UPON THE FOREGOING LIMITATION OF LIABILITY. operating environment which is in accordance with the specifications set forth in the manual furnished with the Product. Product or Software which has been modified without Infoblox’s prior written approval is not eligible for Support Services. 14.1.2 Same Product Coverage. Infoblox requires that Product of the same Infoblox Product type located at a Site Location be covered by the same level of Support Service. Customer must have both the chassis and all associated components covered under the same Support Service program. Customer shall notify Infoblox if additional same type Product is purchased or licensed during the term of this Agreement and shall pay a pro-rated support charge for such additional Product or Software if a co-terminus Support Service contract is requested by Customer. 14.1.3 Support Service Renewals. Renewal of Support Services will be under the Support Service terms applicable at the time of renewal. Prior to the expiration of the Support Services, Infoblox may send a reminder notice to Customer or Authorized Source. An Authorized Source or Customer will initiate the renewal process and provide Infoblox a completed Customer Product List and corresponding order to renew Support Services. If a Support Service renewal is not completed prior to the expiration date of the current Support Service term and Support Service terminates, Infoblox will not provide technical support to the Customer from the date of Support Service termination. 14.1.4 Support Service Reinstatement. Customer may reinstate lapsed Support Services by paying the then-current Support Service fees for the period from the end of the previous Support Services term to the date Support Services are reinstated. Any Support Service that have lapsed for more than six (6) months may be reinstated at the sole discretion of Infoblox subject to a Product Inspection as described below. 14.1.5 Product Inspection. Upon prior notice, Infoblox may conduct an onsite, physical, certification inspection before commencement of Support Services hereunder to determine whether the Product is in good operating condition when: (1) Customer allows Support Services to lapse for more than six (6) months and wants to reinstate Support Services for the Product, or (2) Customer did not purchase Support Services when initially purchasing the Products and greater than twelve (12) months have lapsed. If Infoblox determines that the Product needs repair because it has not been maintained, Infoblox will utilize an Authorized Source to provide Customer an estimated repair cost. An inspection certification charge will be applied and invoiced by Authorized Source at Infoblox’s then-current, professional services rate (travel and expenses are additional charges). The fees associated with the Product Inspection are non- refundable. 14.2.1 Any work at Customer’s site, other than as specified in the Services Orders. 14.2.2 Any services, including replacement of parts or repair of damage, which in the reasonable opinion of Infoblox are necessitated by the unit or subassembly (a) having been misused; (b) utilizing replacement parts not provided by Infoblox; (c) having been used in a negligent manner; or (d) having been used outside the environmental range specified by Infoblox. 14.2.3 Any modifications of the Product or the Software by anyone other than Infoblox. 14.2.4 Products purchased through a non-Authorized Source or the purchase of used Product. 14.2.5 Any Support Services for Product which has reached the Infoblox published end of life date. 14.2.6 Any Support Services for Product which has been the subject of loss, theft, damage or destruction in whole or in part from any reason whatsoever (flood, earthquakes). 14.3 Governing Law. The laws of the United States and the State of California, without reference to conflict of law principles govern this Agreement. Any dispute between Customer and Infoblox regarding this Agreement will be subject to the exclusive venue of the state and federal courts in the Northern District of California. 14.4 Entire Agreement Severability. The Agreement is the entire agreement between Customer and Infoblox with respect to support services provided by Infoblox and supersedes any other verbal or written communications or advertising. If any provision of this Agreement is held invalid, the remainder of this Agreement will continue in full force and effect. 14.5 Force Majeure. Infoblox is not liable for any failure or delay in performance due to any cause beyond its control. In any event, if Infoblox’s ability to deliver service is impaired by Customer or circumstances beyond Infoblox’s control, Infoblox may terminate this Agreement, in which event, Customer will receive a refund for any unused portion of the service term for which it has paid. On-Site Spare Program** On-Site spares may be purchased for a significantly reduced rate. 1Next Business Day delivery services are available for Infoblox products in regions serviced by an Infoblox Depot. Infoblox products in locations outside of the one day delivery radius of an Infoblox Depot may expect delivery based on available international courier services. **For Infoblox hardware appliances only.